A "toaster" notification popup appears when activity is found. UPDATE: A zip file has been added to the downloads section. Unzip and run the .msi file to install. 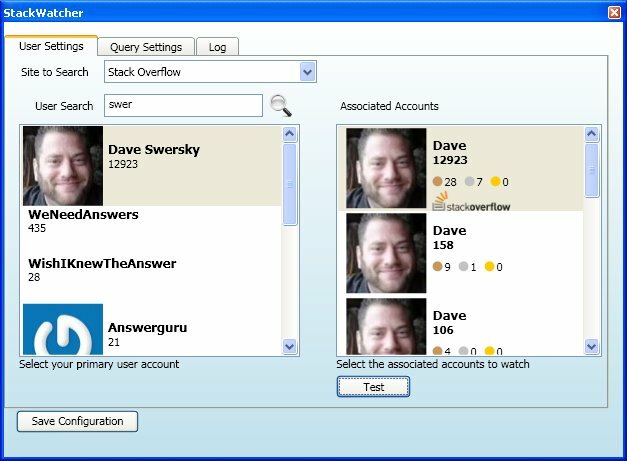 StackWatcher was created by Dave Swersky. You can reach me at dave [at] daveswersky.com. 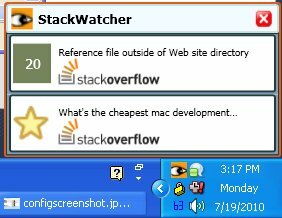 Please include "StackWatcher" in the subject line with any questions, and feel free to ask! 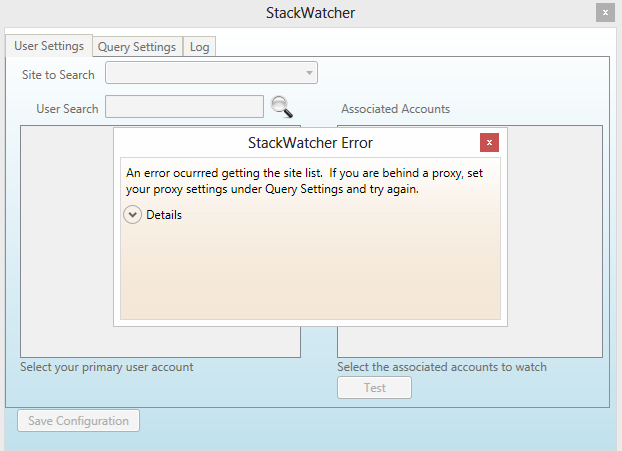 StackWatcher was written in C#. The UI is Windows Presentation Foundation. The source can be downloaded on BitBucket. Not the answer you're looking for? Browse other questions tagged app c# wpf windows .